Dorothea Dix was an educator and social reformer whose devotion to the welfare of the mentally ill led to widespread reforms in the United States and abroad. During the Civil War she served as the Superintendent of Army Nurses. 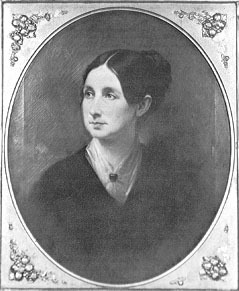 From the time she was fourteen, Dorothea Dix was an educator, first working in a girls school in Worcester, Massachusetts and then operating her own girls school in Boston for over ten years. Dix, however, suffered ill health and retired from teaching in the mid-1830s, moving to England to recuperate. She returned to Boston after two years, but did not return to teaching. An inheritance allowed her to live comfortably and she remained inactive until 1841. Her clergyman asked her to begin teaching Sunday school in the East Cambridge House of Correction in Massachusetts. It was there that she learned that insane and mentally ill people were incarcerated like, and with, criminals. Unlike criminals, however, they were often chained to the walls and were left in near total darkness in the cold, without the benefit of clothes. Dix began an investigation into the conditions for insane asylums, submitted a report to the Massachusetts legislature in 1843 that detailed her findings. Her findings, and determination, helped to improve insane asylums in Massachusetts and then, later, in fifteen states, Canada and Italy. Dix worked for over forty years to establish new state hospitals for the mentally ill and improve existing ones. In 1861 she was appointed for the Union. She found the assignment difficult, however, and after the war she was pleased to return to her work with hospitals.